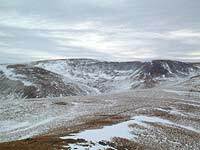 Cairn of Claise is a gentle rise on the W margin of a high moorland plateau. 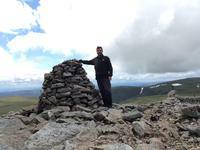 To its W are the steep rocky slopes of Garbh-Choire, and to the S the even steeper slopes into Caenlochan Glen. 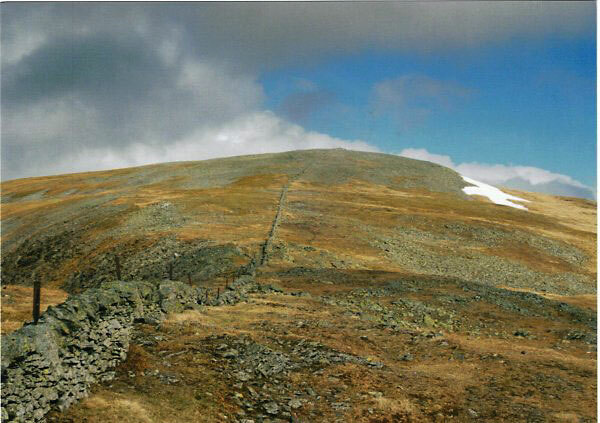 Between these a winding ridge connects to the NE ridge of Glas Maol from where a path leads NW to Sron na Gaoithe and to the road. To the N and NW of the plateau are steep rocky slopes into Glen Callater but to the W of these a col leads to Carn an Tuirc from where a path descends W to the road in Glen. 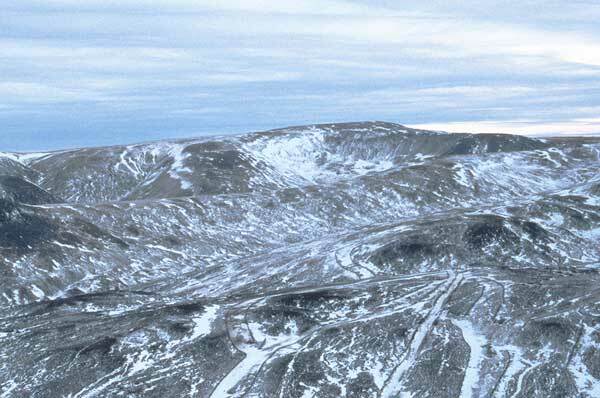 Looking South from the summit of Cairn of Claise towards the steep north face of Monega Hill. Looking from the Sron na Gaoithe ridge into the west corrie of Cairn of Claise. 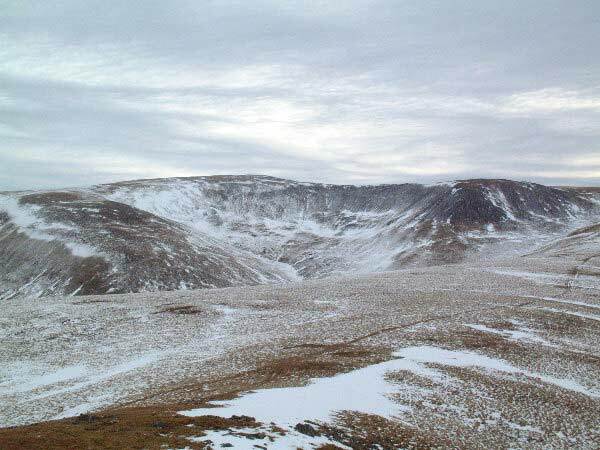 Looking back up to the summit of Cairn of Claise as we headed over towards Glas Maol in April 2007. 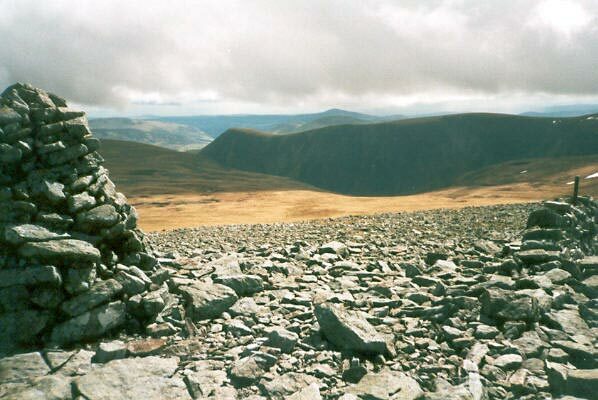 Cairn of Claise from the northern slopes of The Cairnwell. 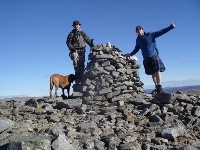 The summary information of one or more ascent routes that include Cairn of Claise. 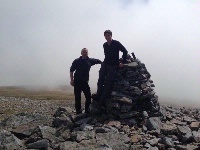 Karl with myself and Oscar on final summit of the round of 4, nice sunny weather...Fantastic!...7,10,12. 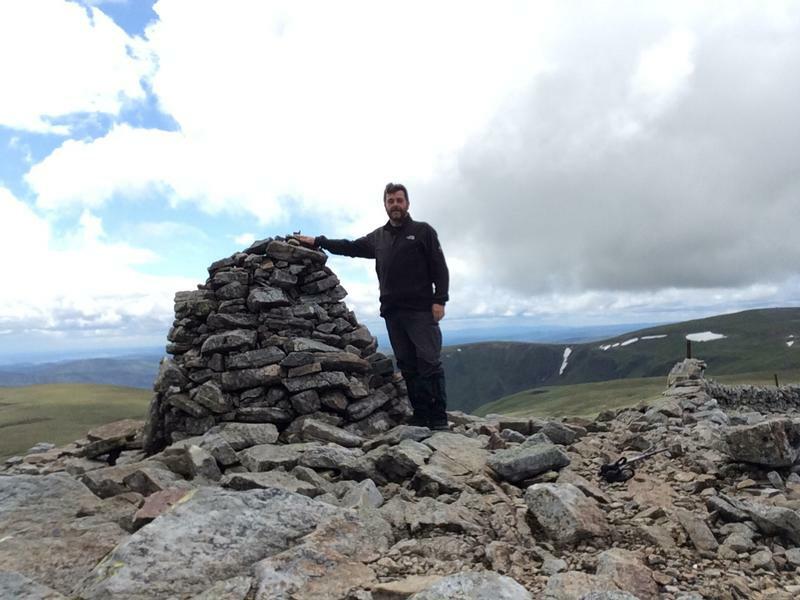 Post a few words about Cairn of Claise or read what others have had to say. Best done as part of a ski tour. Garbh Coire is up there as one of the best off piste descents in Scotland. This is a straight forward amble from Carn an Tuirc across Cul Riabhach on wide grassy slopes.There is a large summit Cairn.Next Munros close by are. Tolmont and Tom Buidhe.Four Mounros for the effort of one sea level one seems cheap to me.Note that this area could be confusing when the mist is down.